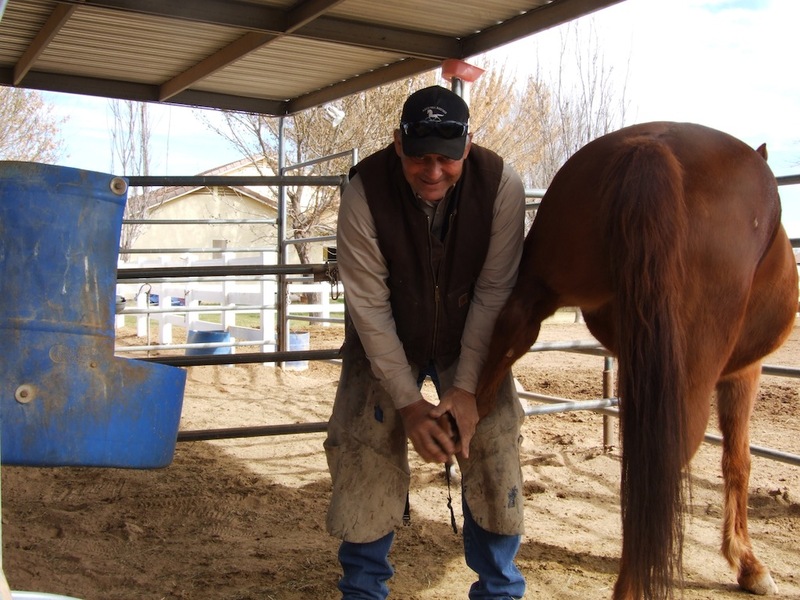 Friends of Charlie Hill would like everyone to know that Charlie is back to work shoeing horses. 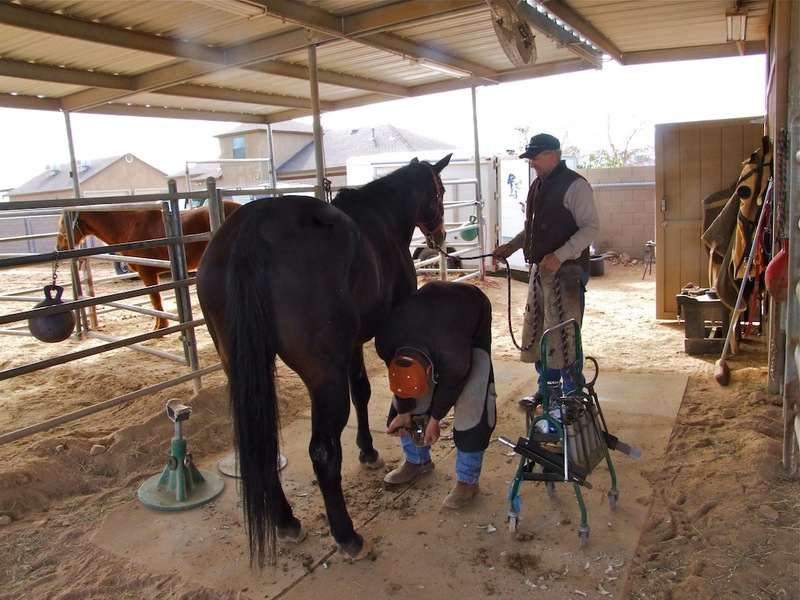 The doctors have told Charlie that he should still refrain from doing any physical activities under horses that might jeopardize the ongoing healing of his femur. 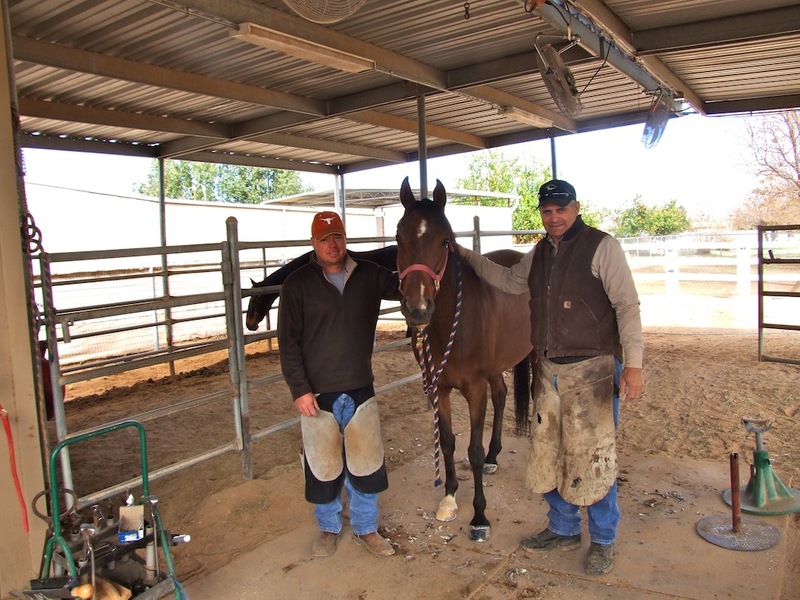 As a result, Jess Nelson and Dally Curtis have been performing the majority of the shoeing process, letting Charlie build shoes and supervise their work. Jess came down from Flagstaff to support Charlie’s clientele beginning the day of his surgery on the 1st of February. 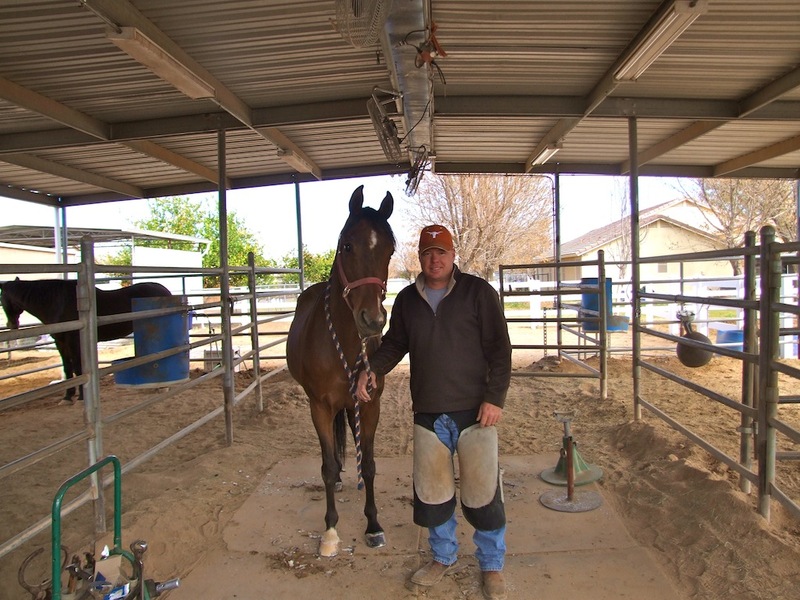 He shod horses for Charlie that week and the next before having to return to Flagstaff. 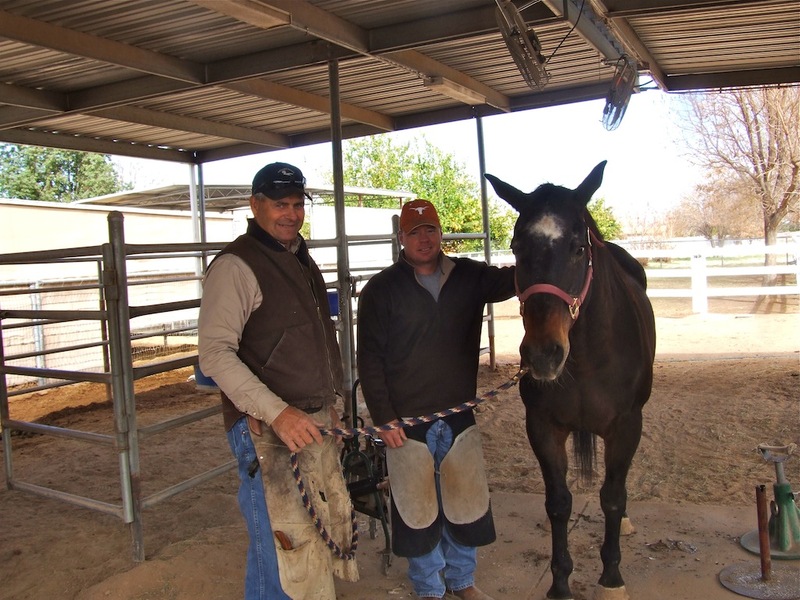 Dally Curtis flew in from Belton, Texas on the 15th of February, and will continue to support Charlie with his horseshoeing for the next several weeks. He plans to return to Texas briefly to catch up with his client’s horses about the middle of March. Charlie and Debbie are planning to travel to Denver, Colorado for the Rocky Mountain Horse Expo on March 11th-13th. Rodger Kyle of 8th Heaven Farms in Castle Rock, Colorado will have an exhibition booth at the Expo. He has invited Charlie to share the booth with him to showcase Charlie’s experience as a horseman of over 50 years. Phase two of the revision of Charlie’s right leg continues the 30th of March. The knee replacement surgery has been scheduled for this day. Upon his return from Colorado, during the surgery, and for several weeks after, Dally Curtis will continue to support Charlie and his clients. As, Charlie’s “Road to Recovery” continues he would like to thank everyone who has been a part of the process whether directly or in thoughts and prayers. Feel free to also view the new movie of Charlie’s life on his Biography page. Fantastic issues altogether, you just received a logo new reader. What could you recommend in regards to your put up that you just made some days ago? Any sure?